A chair back used in the production of the action adventure film Sahara. Diving for a maritime heritage agency, diver Dirk Pitt (Matthew McConaughey) rescues World Health Organisation doctors Eva Rojas (Penelope Cruz) and Frank Hopper (Glynn Turman), who are investigating a strange disease in the region. Hunted by local troops and corporate assassins, the group stumble upon a massive conspiracy – as well as lost treasure from the US Civil War. 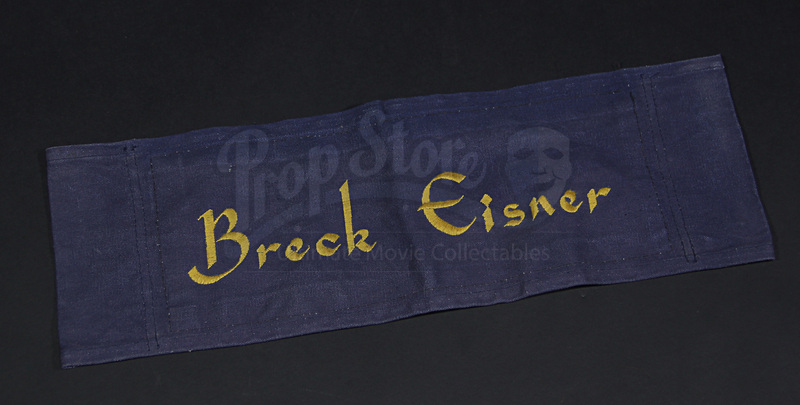 This chair back and others like it were used during the production of the thrilling action film, with this chair back used to assign a chair for director Breck Eisner during filming. The chair back is made of blue canvas with holes for slipping over the rear arms of the folding set chairs. 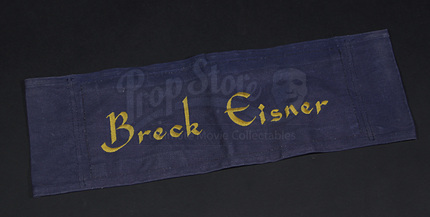 The name “Breck Eisner” is embroidered in yellow across the back in a bold font. 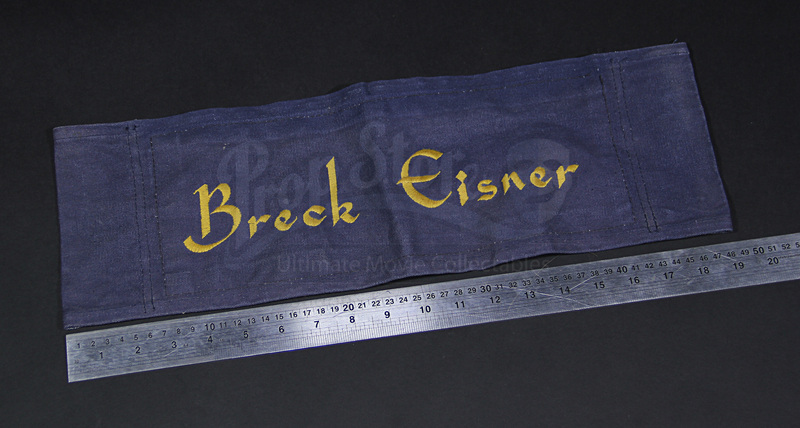 Well used on set, the chair back displays some wear from use but remains in good production-used condition.